A long awaited title releases on the PS4 this Friday 3/21. Rather than releasing the third entry in a trilogy, Sucker Punch Productions decided instead to do a franchise reboot (kind of like Devil May Cry from Ninja Theory in 2013). 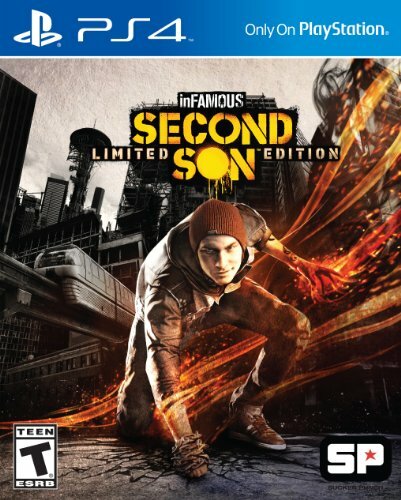 Gone from Infamous 1 and 2 is the main character Cole MacGrath in favor of 24-year-old noob Delsin Rowe. This PlayStation 4 exclusive looks to take full advantage of the next gen hardware to amazing effect and if it plays as well as the previous iterations, it's going to be good. I've got my copy of Infamous Second Son preordered, and it's rare for me to preorder a game so that should demonstrate my level of excitement for this release. Listen to the next podcast episode (36) for my initial impressions. It's no secret that part of why I enjoy doing this is the discovery of new music. Reviewing the list of new releases this week and I found nothing of immediate familiarity, so like I sometimes do when this happens, I started listening to the albums. Got a bit lost in it this past Sunday afternoon actually but it was time well spent. Hopefully for the both of us. This week I discovered a female fronted rock band. Taylor Momsen (lead singer, rhythm guitarist) of The Pretty Reckless was formerly a childhood star in some television show called Gossip Girl but knowing nothing of that former tenure, and after hearing this rockin' album, I could care less. Technically it was released last week (3/12) but it rocks hard enough to feedback into the following week.